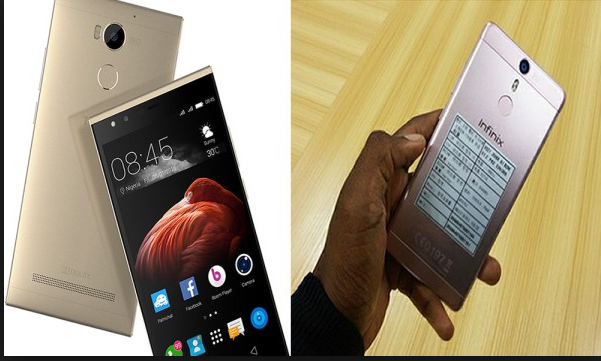 Infinix's latest smartphone, the Infinix hot 5 is no doubt a force to reckon with in the mobile industry. The device i fondly call the elder brother to Infinix hot 4 and hot 5 lite comes with the fingerprint scanner and a massive processing speed. The Infinix hot 5 which happens to be the successor of the Infinix hot 4 runs am Android 7.0 Nougat. The infinix hot 5 comes with an awesome architecture, very handy, not to heavy and not bulky. You love colours? this device comes in different colours including black and gold. Infinix mobi nicknamed the Infinix hot 5 a ‘mobile cinema,’ due to its wide 5.5-inch screen, it also spots a high display resolution of 720 x 1280 pixels. The infinix hot 5 comes with an 8 MegaPixel back camera which doubles as a sensor, while at the front is a 5 megapixel camera for selfie freaks. This device comes with a 16GB internal storage space with an extension slot of up to 128GB. With a 1.3 GHz quad-core MediaTek processor you surely can expect an usain bolt speed from this device. Another factor that gives this device an edge over its contemporaries is the 2gb ram and 4000 mAh battery. You can expect about 4 hours of talk time from 5-minute charge with fast charge technology support. For connectivity, the Infinix hot 5 comes with features such as USB OTG, Bluetooth and Wi-Fi 802.11 a/b/g/n with hotspot. But it doesn’t look like you’ll be getting 4G support though. But what I am pretty sure of is that it is likely that a revamped version of the Infinix Hot 5 could be offered in future. As you would expect, there are two SIM card slots on it. So if you are impressed with the specs of the Infinix hot 5 and wish to purchase it you can get it in Nigeria at a pocket friendly rate between 45,000 Naira and 60,000 Naira.